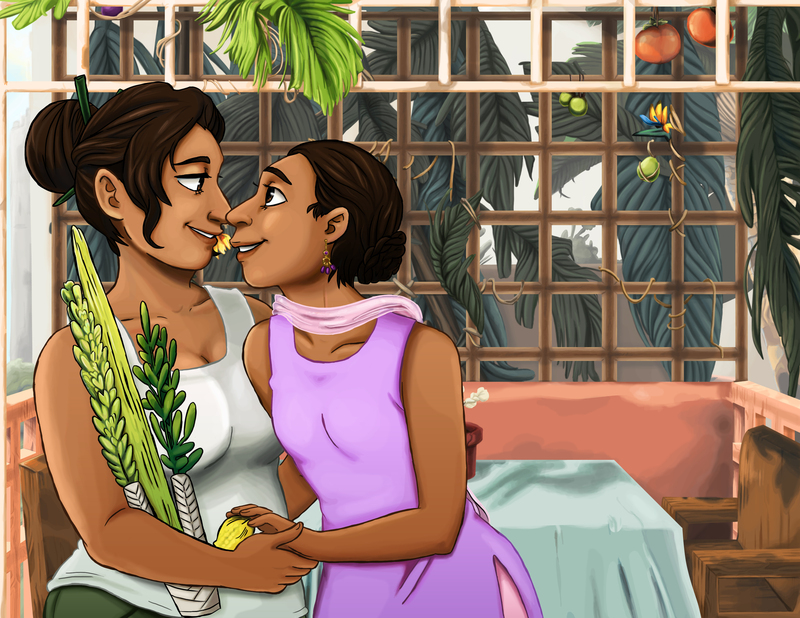 Aviva and Shulamit, the lady couple from The Second Mango and Climbing the Date Palm, share a cuddly moment during Sukkot. Drawn by Becca Schauer based on characters created by Shira Glassman. This entry was posted in Uncategorized and tagged Art, etrog, femslash, jewish, judaism, lesbian, lesbian art, lgbt, lgbtq, lulav, queer, qwoc, sukkah, sukkot, women-of-color. Bookmark the permalink.